Something I love doing is going to the beach. I haven’t gone in about two years, so a few days ago I decided to pack up my things and go. Every time I do, I have a fantasy of laying on the sand, with the ocean breeze blowing in my hair, the sun lightly kissing my skin, enjoying the hypnotic sound of the waves hitting the shore…. I would have my notebook, a few pencils (in case one of many of them happen to break in some freak accident) a few pens and my imagination. Then I’d take a sip of lemonade, take a look at the beautiful ocean and begin to immerse myself in my story world. But the reality is whenever I write at the beach, something always distracts me. 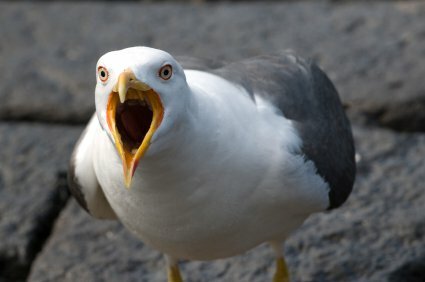 That horrid sound a seagull makes when it wants your bag of chips, the loud group of high schoolers next to you who decided they would bring their schools entire football team to the beach or simply the great atmosphere is enough to be distracting. This time when I went, I was able to read a chapter of a writing book I recently purchased but that was all I was able to do. This time it wasn’t a seagull or a loud group of people. It was the ocean itself. I ended up leaving my stuff on the shore to go and play in the water. Feeling the cool water on my skin felt wonderful and seeing the sparkling waves all around me was so relaxing. I ended up leaving the beach with a head full of sand, a face full of salt and an empty notebook. It wasn’t at all what I had planned when I decided to go to the beach to write but it was still a lot of fun. Is there a special place you would like to escape to write? Do you like your writing time to be in a quiet place or do you mind a little chaos?